A beautiful heart shaped photo frame. 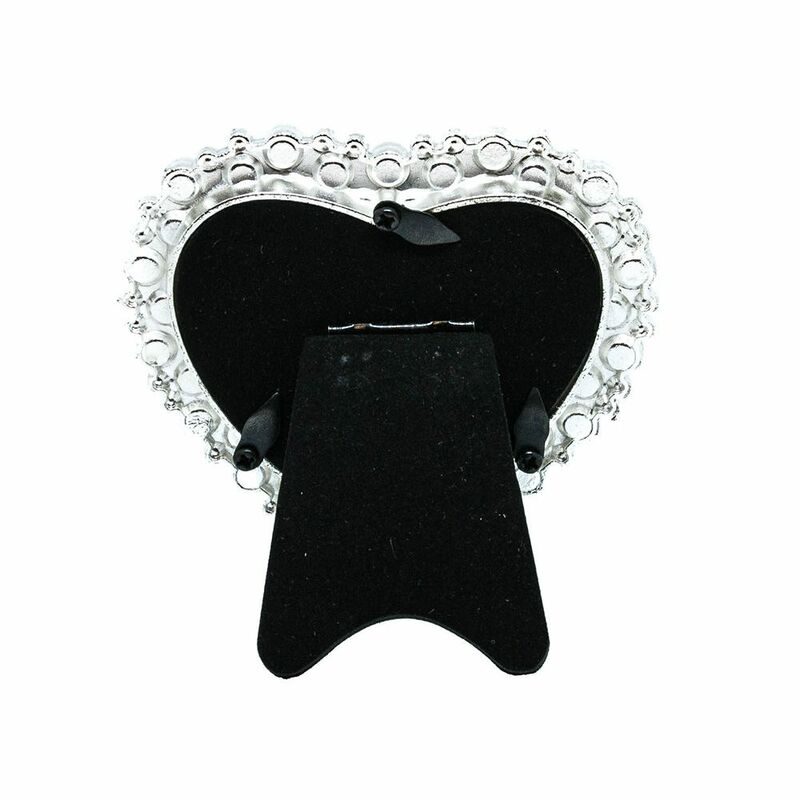 Featuring pearls and clear gems set into a silver backing. Fits one 3" x 3" photo. This model is for free standing settings. Perfect for the priceless photos of your loved ones.